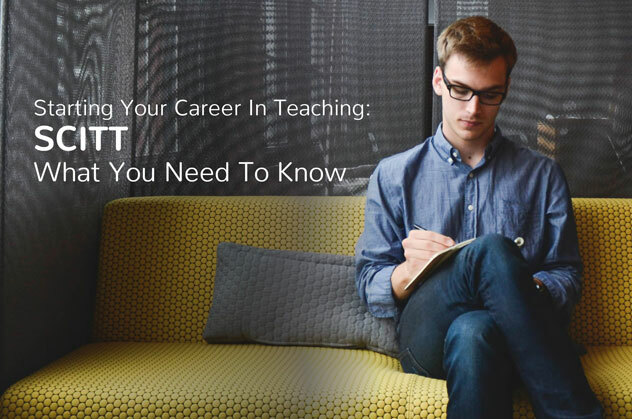 Are you looking for a career in teaching? Have you waded through the vast amount of information about the various teacher training options? Here at Pure Education, we’ve put together a series of short guides to help. The third teacher training guide that we’ll be looking at is School Centred Initial Teacher Training (SCITT). There’re some academic requirements that you’ll have to meet before you apply. You will have to have GCSEs (or equivalent) grade C or above in English and Maths. If your aim is to teach primary you will need grade C in Science. You will also need to pass a skills test in numeracy and literacy. Gaining as much school experience as you can is also highly advised. This will develop an understanding of day-to-day school life as well as build up your network and to see if teaching is the right career choice for you. Contact the local schools in your area and ask if you could volunteer. A SCITT programme is an approved network of schools in partnership with a university that run school based courses. You’ll learn on the job from the start. Gaining practical experience as well as getting insight into what teaching involves. You’re supported through out by a network of experienced teachers and mentors. You won’t teach unsupported, only once the school you’re training with think you’re ready. Many SCITT courses include a Postgraduate Certificate in Education (PGCE) as well as a QTS, but do check with you’re training provider. Funding: PCGE student fees are up to £9,000 with student loans and grants available. Depending on your degree subject you may be eligible for a £25,000 bursary or scholarship. Find out more about Tuition fees & Maintenance Loans. Not sure if SCITT is the right teacher training course for you then checkout our other teacher training guides – School Direct, PGCE and Teach First. Is the SCITT route for you? Have you got into teaching by completing an SCITT course?